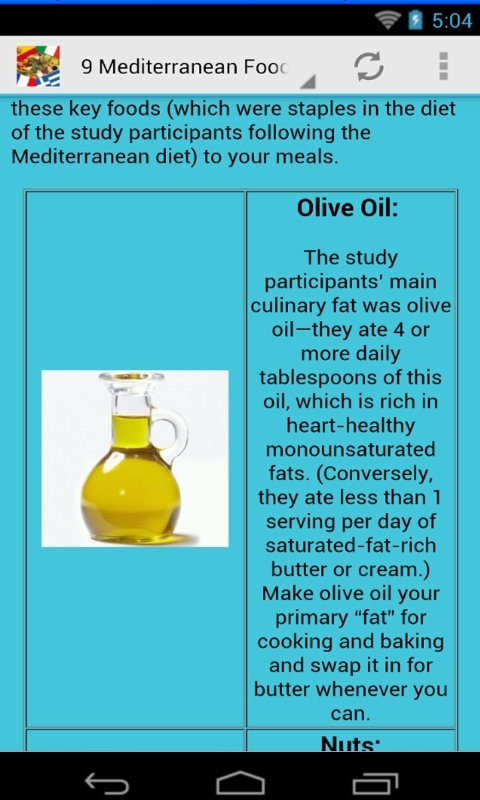 The Mediterranean Diet is not a typical weight loss diet but more like a lifestyle approach oriented mainly from particular Mediterranean areas such as Crete and other islands of Greece, Southern Italy, Spain, Southern France and Morocco. The diet combines large amounts of legumes, vegetables and fruits, whole grain bread, meat mainly from poultry and fats originating from fatty fish and olive oil. With moderate daily exercise and a meal plan following as closely as possible the Mediterranean Diet, one could not only lose weight but also strengthen body and brain. 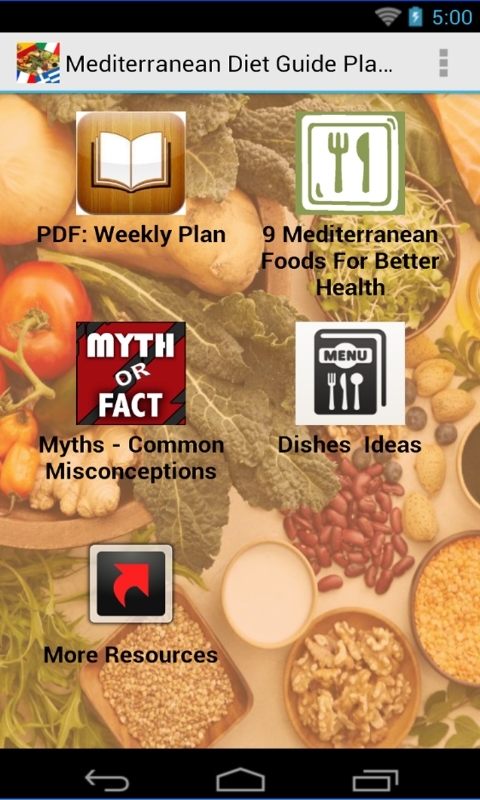 This application is essential to people who are aware and concerned over the risks of modern lifestyle on their health and to those who wish to lose wight, but without having to follow uninteresting, potentially dangerous diets. 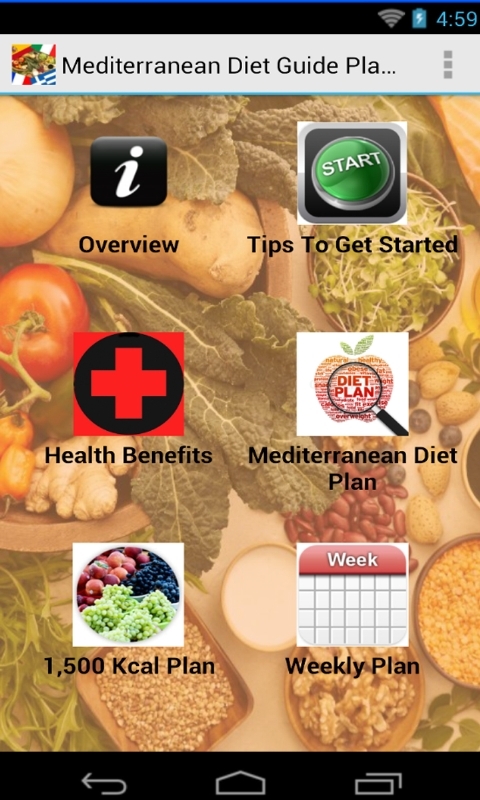 You will be given an overview of the diet, you will get to know little tips which could let you started at a minimum of hassle and expenses, it will help you organize particular diet plans (such as 1,500 Kcal plan or a Weekly plan) and inform you with details over which health conditions can be avoided or their symptoms made less severe when you follow it and combine it with some exercise. Learn to follow the Mediterranean Diet and reap the ultimate health and weight loss advantages from a centuries old diet!